Forages: Volume 1. 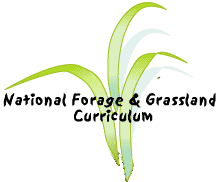 An Introduction to Grassland Agriculture. 1995. R.F. Barnes, D.A. Miller, and C. Jerry Nelson (editors). Chapter 7. Forage Establishment and Weed Management. Iowa State University Press. Weed Science: Principles and Applications. 1996. W.P. Anderson. Chapter 46. Pastures and Rangelands. West Publishing Co., New York. The texts cited above provide general information about weed control in forages. In many cases you will want to obtain information specific for your area. Your county extension agent or agricultural instructor should be able to provide you with a list of state extension bulletins regarding weed control practices in your region. There are a tremendous number of weed management related "web pages" available on the World Wide Web. The table below provides names and addresses of a select group of these pages.